Award winning A4 booklet with cover printed on Jet Black paper with embossing and matt silver foil embellishments flattering the brand. 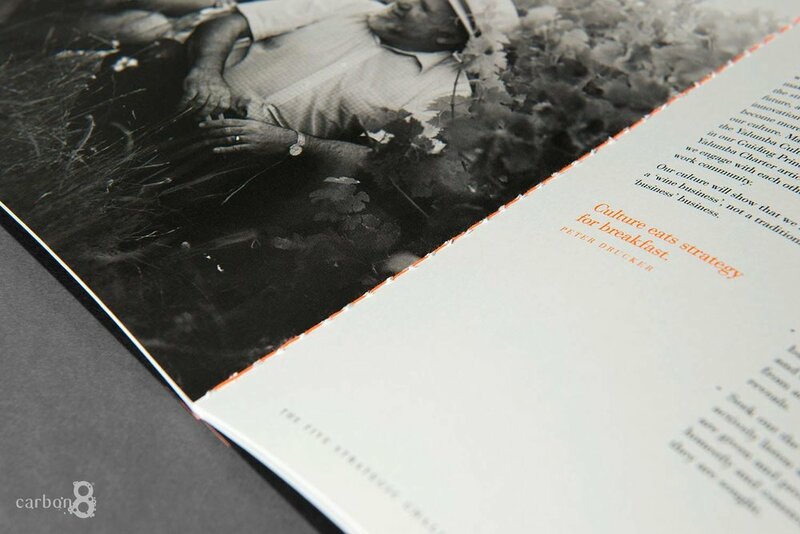 Internal pages printed on premium white paper and all stunningly brought together with section sewing and hand glued covers to a orange spine complimenting orange Pantone printing through out the book. This elegantly consistent plan has secured a gold award at the 2016 National Print Awards in the category of Annual Reports/Prospectus.